Canadian rock star Neil Young is set to play in Leeds in June. Neil Young only plays in Newcastle once in a generation, so it would have been over-optimistic in the extreme for North-East fans of the veteran rock star to expect him to return to the city on his forthcoming tour just three years after his last date there. The 70-year-old is playing in Leeds in the summer, though, as part of the four-date UK leg of his Rebel Content tour, and, the West Yorkshire city being just a two-hour drive away, that’s undoubtedly the next best thing. The Canadian rocker can be seen at the city’s First Direct Arena, on Friday, June 10. Tickets cost £57 to £73.25. Fans planning to make the trip of 100 miles or so south can go to www.firstdirectarena.com or www.neilyoung.com for further details. Young’s 2013 Tyneside show was only his second ever, his previous one being at Newcastle City Hall in 1973, and his Leeds date is his first there. 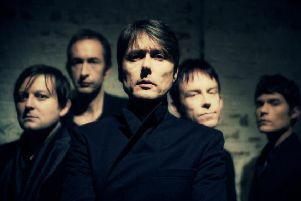 His backing band for his Leeds gig – plus the other shows he has lined up in Belfast, Glasgow and London – will be Promise of the Real, not his long-time collaborators, Crazy Horse, as was the case for the 2013 tour that brought him to Newcastle’s Metro Radio Arena and the couple of English dates he played the year after, in London and Liverpool. Promise of the Real are a Californian rock band formed in 2008 and comprising brothers Lukas and Micah Nelson on vocals and guitar, Anthony Logerfo on drums, Corey McCormick on bass and Tato Melgar on percussion. Besides touring with Young and playing on his last album, last June’s The Monsanto Years, a No 24 hit, they have also previously performed with Lukas and Micah’s father, country-and-western legend Willie Nelson. Promise of the Real have already been out on the road with the veteran rocker in the US, playing both tracks from their album together including Wolf Moon and People Want to Hear About Love and Young classics such as After the Gold Rush, Helpless and Powderfinger. Since his Metro Radio Arena show, the ever-prolific Young has released no fewer than three albums. Besides The Monsanto Years, his 36th LP, he has put out A Letter Home and Storytone, both in 2014. The former, a collection of cover versions including songs by Bruce Springsteen and Gordon Lightfoot, made it to No 17 and the latter to No 20. Young’s most successful albums this side of the Atlantic include Harvest, a No 1 in 1972, and Sleeps With Angels, a No 2 in 1994, along with Mirror Ball, a No 4 the year after, and After the Gold Rush, a No 7 back in 1970. His only hit singles of note over here are Heart of Gold, a No 10 in 1972, and Harvest Moon, a No 36 21 years later.